If you’re anything like us, then you’ve enjoyed peering through the fence at Scarfolk and running away screaming. Well now there is nowhere to run! AAARRRHHH. What I mean is, there a new book! 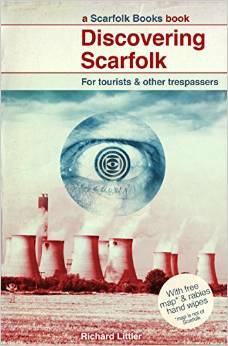 Scarfolk is a town in north-west England stuck in the 1970s. A hallucinogenic nightmare recollection of 70s England. An uncomfortable nostalgia for a simpler time, when communities were bonded around an unremitting fear of rabies and imminent nuclear annihilation. Sinister children, startling imagery and bewildering public information films. If you find terror-inducing drabness with a dash of Satanism, funny, then you will like this. This item will be released on 16 October 2014. This entry was posted in recommendations and tagged 70s, Books, cooling tower, DiscoveringScarfolk, eye, rabies, Richard Littler, Scarfolk. Bookmark the permalink.